Having fun outdoors when the temps are sub-arctic and the snow is neck deep is far from impossible. The first trick is to dress properly, starting with your head. If your head and face are warm, your comfort level skyrockets. Advanced materials and field testing with world class athletes has helped Chaos Headwear create some of the most effective cold weather thermal head gear ever. The Adrenaline 2 collection has a little something for every frozen adventure. 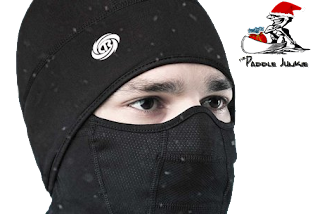 The Skully is a perfect hat for runs on frosty mornings or as a helmet liner when face protection is not necessary. The Balaclava, Multiliner, Multi Tasker Pro and Liner Guard all provide face protection, with a range of fits and design elements. Throw in the Heater Pocket Gloves or Heater Socks to ensure all the extremities are toasty warm.